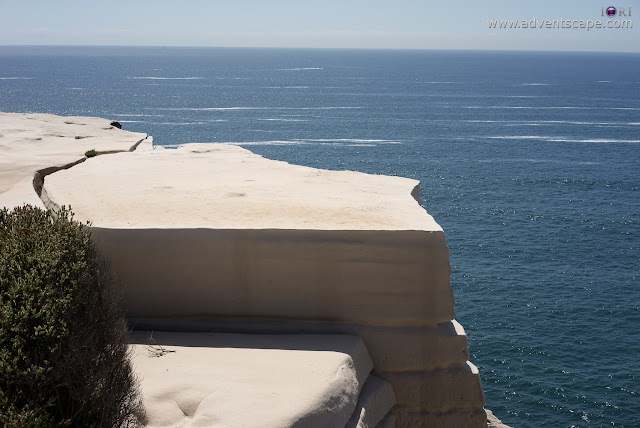 One of the most famous places in Sydney is the Wedding Cake Rock. As the name states, it's a rock formation (limestone) that resembles a slice of wedding cake. If you view it at a certain angle, it really is a wedding cake! You just can't imagine how it formed this way. 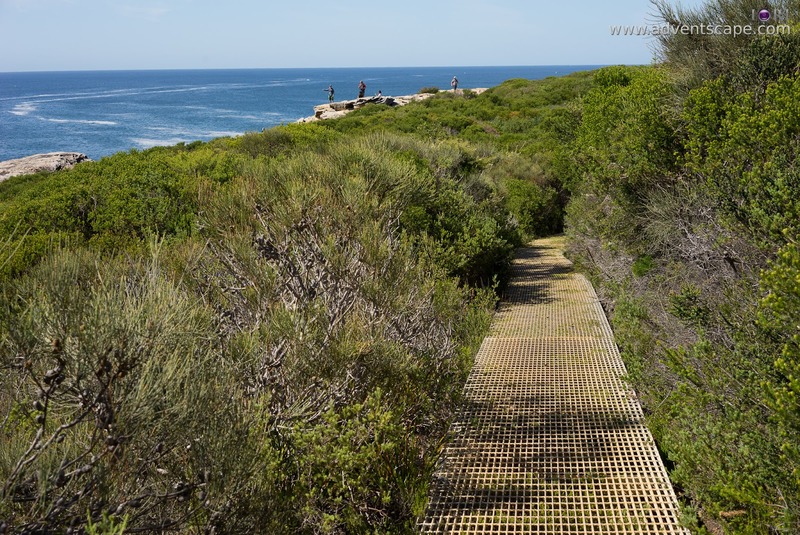 We initially planned this as Bundeena to Marley Beach walk. But since we lack the time and under scorching heat, we decided to go back after seeing Wedding Cake Rock. From the parking of Beachcromber avenue to Wedding Cake rock will take you 1.5 hours. If you go further towards Marley beach, that will stretch to 3 hours return walk. 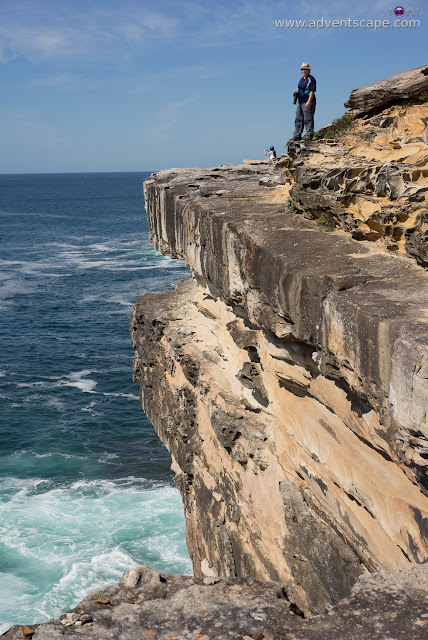 Wedding Cake Rock can be accessed by initially driving towards Bundeena. You need to enter the Royal National Park, which is south of Sydney. 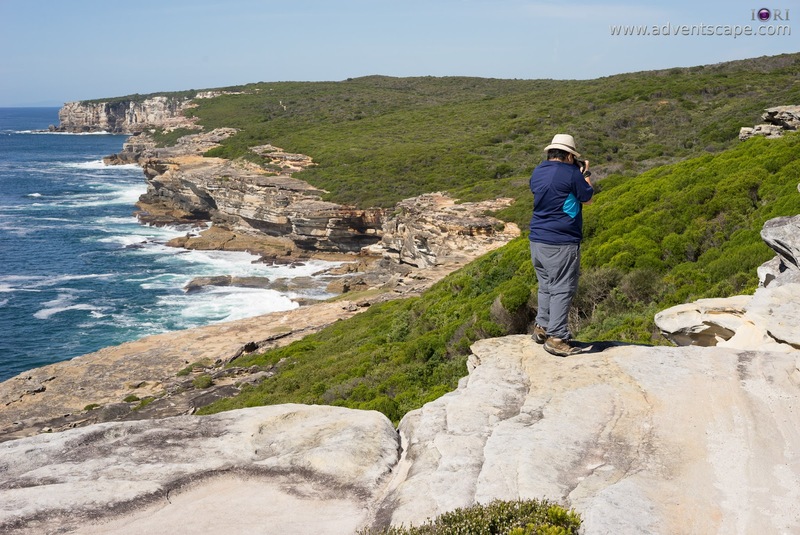 It will take you a few minutes driving towards Bundeena upon entering Royal National Park. Once you're at the park, just head towards Beachcomber Avenue. At the very end, there are limited spaces for parking. Thus it's also important to plan this trip. After our walk, we saw several cars waiting for parking. 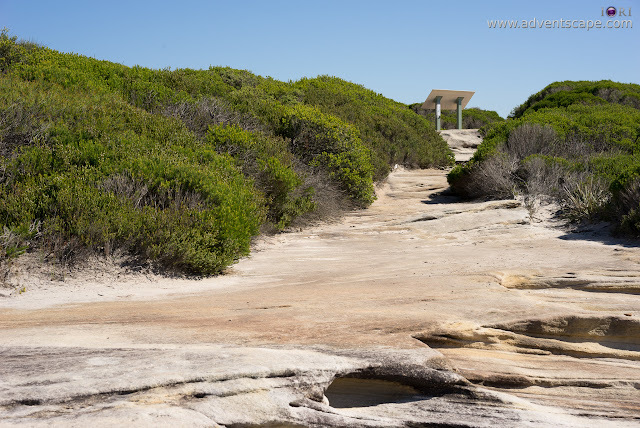 Note: Visiting Bundeena requires you to pay a visitor's fee. 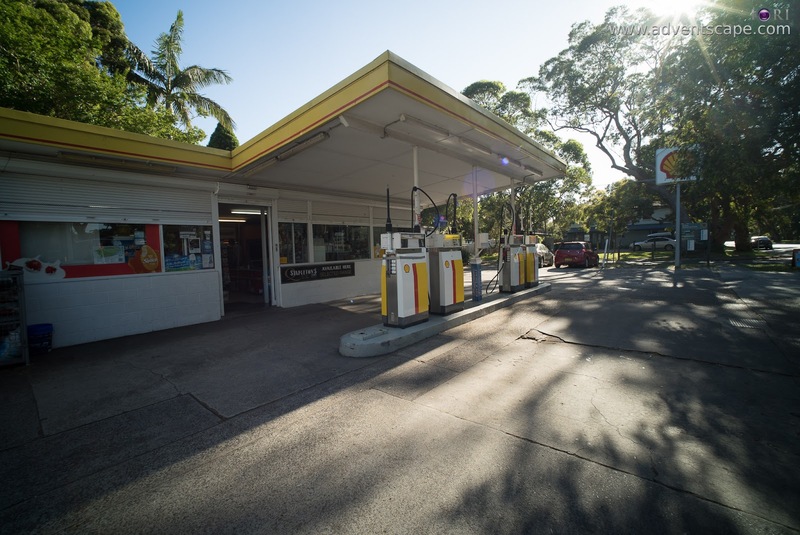 Good thing that Bundeena Service Station is a gas station with mini mart. You pay at the mini mart and do some last minute shopping (energy bar, power drinks, sunscreen) before you actually do the walk. You can also bring other stuff that you may think you needed to walk comfortably. 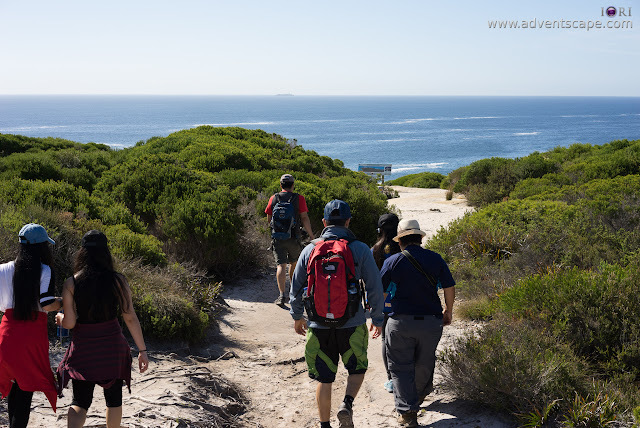 This coastal walk only has small bushes. Thus you need to provide yourself shade if you don't like the sun directly shining in your face. Bring a hat and sunscreen. But the good thing about it is that you can easily see the people in front of you. You can also see the blue sea from afar. The Balconies is the first vantage point you'll encounter. It has amazing views of the coast. This area is flat, so it's easy to walk around. The rocks are rough and you won't slip your footing. This will take you about 15 minutes of walking. If you want a more relax and safe area to view the coast, then this is it. The next walk towards Waterrun is also simple and easy. It's flat without steep elevations. Again, small bushes will block your path, as well as the sun. This will take you about 10 minutes of walking. By this time, you will feel the heat of the sun if it's a sunny day. But for those who are used to walking, it's nothing. 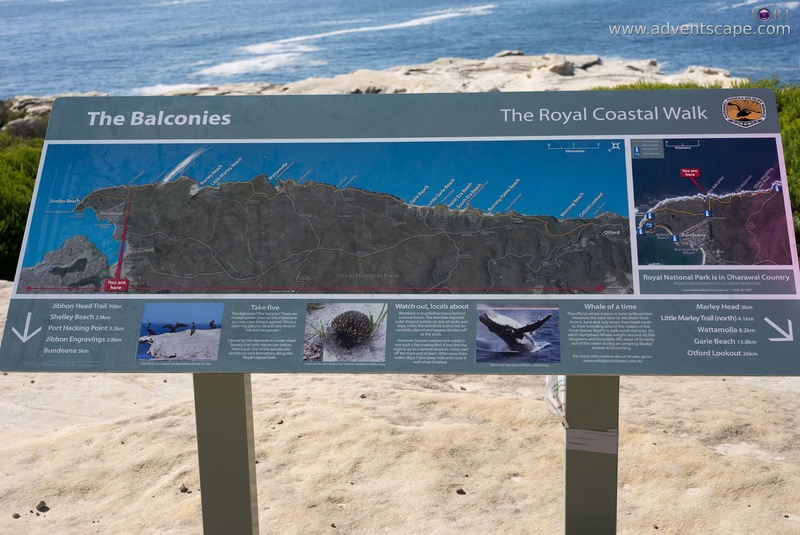 You'll see the coast at your left when walking from The Balconies to The Waterrun. There is a bridge and walkway that you'll pass as you walk along. The Waterrun is more daring compared to The Balconies. It has ledges, if you slip or collapse, will land you directly at the reefs. Compared to The Balconies, it has more elevation. It's pretty scary if you stepped on them. Once you're done with The Waterrun, the next stop is Wedding Cake Rock. This is where the challenge came in as you need to walk down the cliff to walk across a creek and climb up again to the next cliff. I'm sure that this is more than a 45 degree steep descend. Just more in slowly and everything is alright. You'll do this twice since you need to walk the same path if you go back to the parking lot. With a hot weather, it's a challenge walking back up the cliff again. But it's nothing dramatic. Just rest and stay hydrated and all is fine. Unfortunately for late goers, Wedding Cake Rock is now declared 'unstable' and would collapse anytime. Tourist & locals alike are advised to stay away from it. Once you arrive at the area, you'll notice the metal fences that prevents visitors from going into the actual Wedding Cake Rock itself. It's really a shame not to walk into the rock itself but we retrained ourselves from standing into it. Though we found several visitors actually going into the rock still. But an advise is an advise and it's hard to neglect this kind of warning. As the warning signed mentioned, the rock itself is unstable and could collapse anytime. Photography is welcome as long as it's behind the fence. Triple Zero (000) is also mentioned if there is an emergency. The fences are there, though it's not enough to really stop visitors from walking past through it. 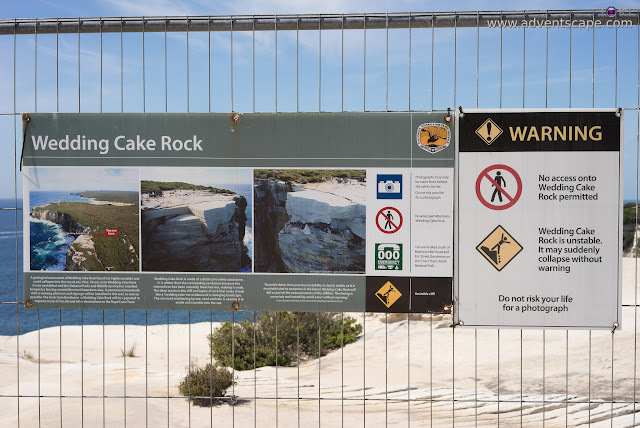 The warning signs aren't enough to stop any visitor from ever walking to the Wedding Cake Rock itself. But the important thing is that the fence and the warning sign is there. More photos of the trek from Bundeena to Wedding Cake Rock.